I like the quality of this sink and having the drain to the right maximizes useable space under the cabinet. I would definitely recommend this sink. 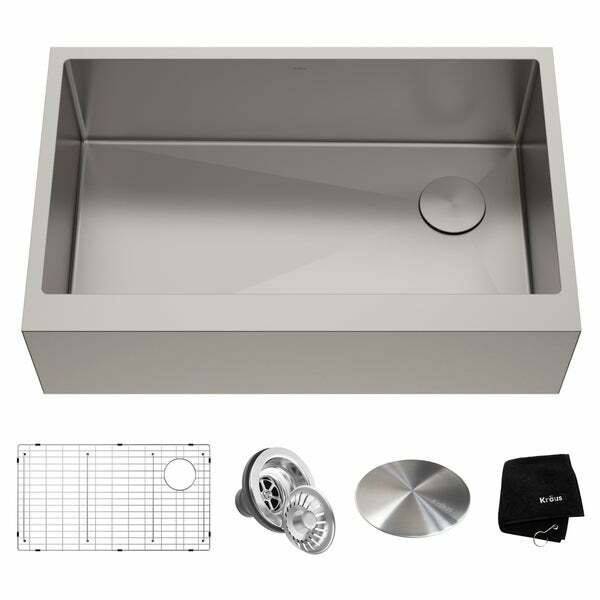 OUTER SINK DIMENSIONS: 33 in. L x 21 in. W x 10 in. D; Minimum Cabinet Size: 36 in. Best looking sink I’ve ever seen! Very well made & stylish!